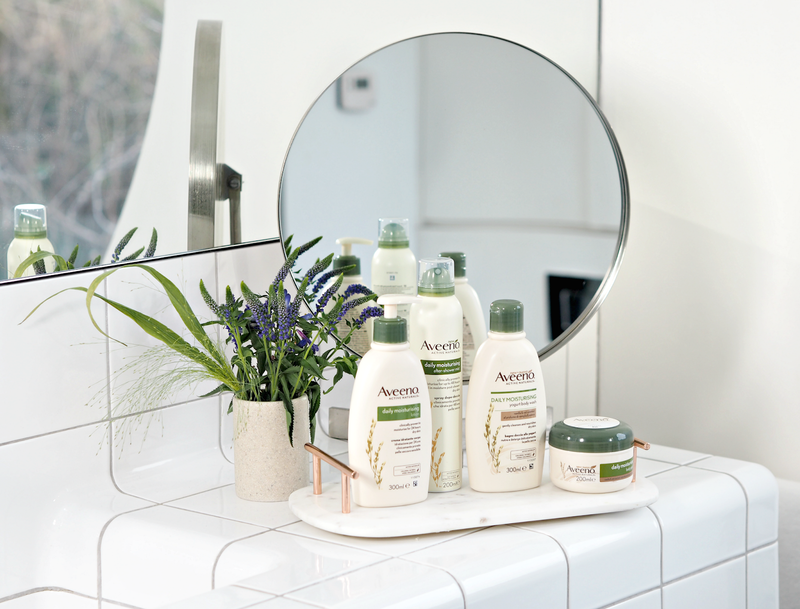 A little while ago I teamed up with a long-term love, Aveeno, to create a little video to encourage you to take those moments out of your week to not only give your body a little pamper – but to look after your overall wellbeing too. No matter how much time you have, there’s a routine for you: because there’s always time for self-love. Breathe in the aromas of your morning shower and appreciate the warmth of the water running over your skin; treat yourself afterwards to a fast-absorbing moisturising mist to nourish skin and help you feel refreshed. Enjoy a calming cup of tea and paint your nails with a restorative colour. Why not catch up with your best friend on speaker while you do it? Give your hands the TLC they deserve by massaging in some beautiful hand cream, leaving you feeling happy and confident. wall (mine is definitely ‘make your own magic’) so you’re always inspired, take an indulgent shower with products that leave your skin feeling beautifully soft, and then unwind with a great book. Watch the full video below and let me know your favourite way to unwind! This is a sponsored feature in partnership with Aveeno and Popsugar. 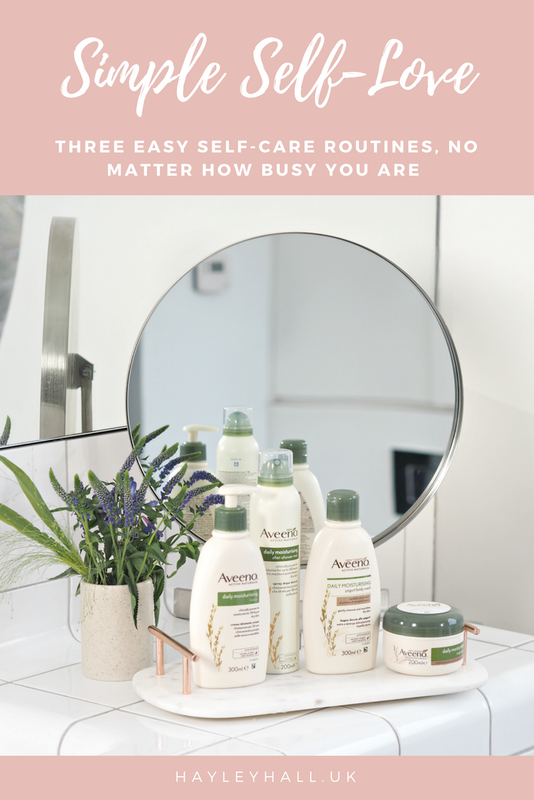 I love the way you've set out this blog post: it's so helpful to have tips for if I only have a little amount of time or a little bit more time to pamper. Also, that Aveeno spray is *made* for me – I happily spend hours on my face routine but I've convinced myself that anything below the neck is too much effort for me! A spray may just be quick and easy enough for me to get on board…! Thanks Lex! It's such a great little product – and it feels like water on the skin, so it's not at all heavy or tacky. You'll love it! oh i love their products, this is such a great post and a beautiful vid! well done hayley!